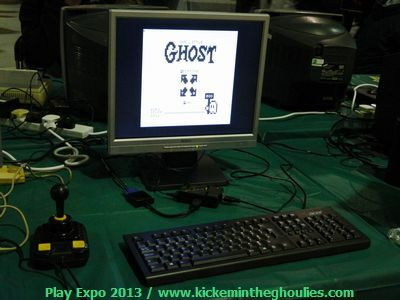 Last weekend saw the KITG team head to Manchester to experience Play Expo , a retro gaming event like no other. 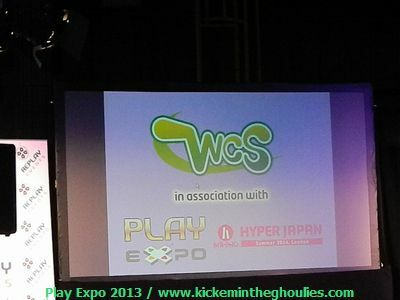 Now I had found out about Play Expo last year ,but it was their presence at Events like Eurogamer Expo and Hyper Japan that got me interested in attending , being a group of fan sites we don't have massive funds to gal-avant about the world to every event and even travelling within the UK can be a pretty penny. Now I had enjoyed their stands at the London shows and thought I would give this a whirl, I applied for the press passes from Replay Events who organise the events and hey presto we where accepted..
We decided to go for the Saturday of the show and left London early to get to Manchester by 9.30am. Of course once in Manchester you do have to get to the venue ,by Bus ,Taxi or carrier pigeon. This takes about half hour or so under normal circumstances and if you have never been to Manchester before it takes a bit longer as you try and navigate the cites bus stands. Once we arrived at Event City (the location of the Event) which is quite a large exhibition center I was amazed at the queue to get in which encircled the building . Lucky there was a separate Press queue as there was a queue for visitors requiring to buy tickets on the day ,yes the big queue was for pre-sold tickets. 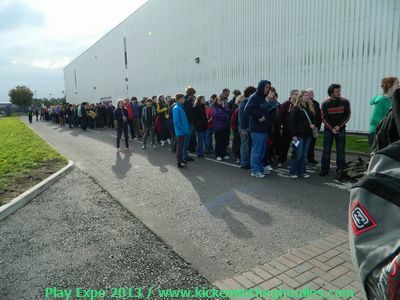 Now we got there for about 10.30am or just before maybe as our press tickets had 10 'O clock on them ,but no one was let in till just after 11am , but it was a nice day (no rain) so we didn't mind and it looked they where having some logistic issues with getting open . Once in which was painless our first plan was to get onto the Assassins Creed IV stand where Ubisoft had their new game running on the new PS4 consoles. 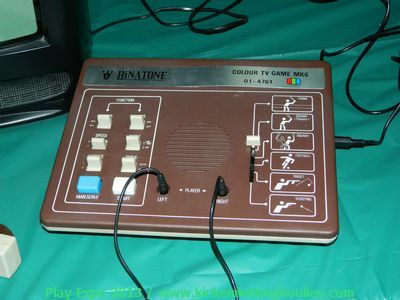 For gamers in this part of the country it would have been the first chance to get to get hands on with the system. 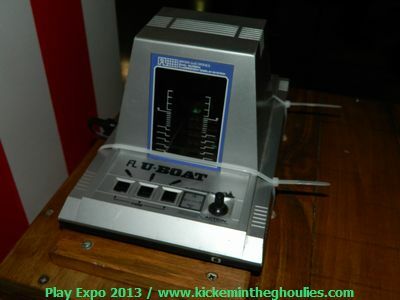 It was also a game I had only seen at Eurogamer in London and not actually played . We waited about forty minutes to get on a unit,choosing to double up to save time. Assassins Creed IV is quite a gorgeous game on PS4 ,being that it a game set around a piracy on the high seas we where thrown in the deep end with a mission to destroy gun turrets from our ship while trying to maintain our boat in order and avoiding other vessels on what was quite a choppy sea. Between us we where quite useless ,though I did make some damage to the turrets ,but we decided to let someone else have ago and get busy going retro. The Ubisoft staff on hand where very helpful in trying to help everyone try and complete the mission though. 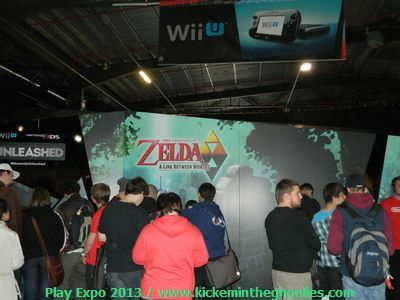 Nintendo was one of the first to announce their appearance at the show with their Unleashed Tour. 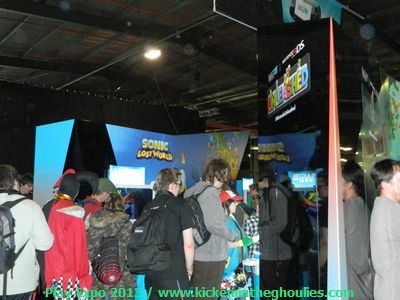 They brought along Mario Kart 8 ( the queues for this where long again especially after being on the ACIV stand) , Sonic LOST Worlds and Mario 3D world along with Pokemon on 3DS. 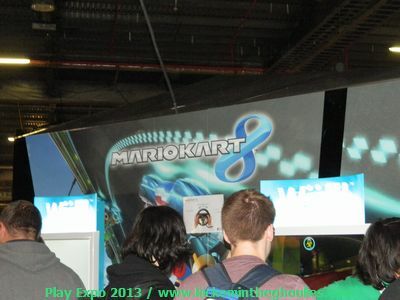 Lucky enough I had played most of Nintendo's offerings at Eurogamer with only Mario Kart 8 being the one I had not, but it looked good. 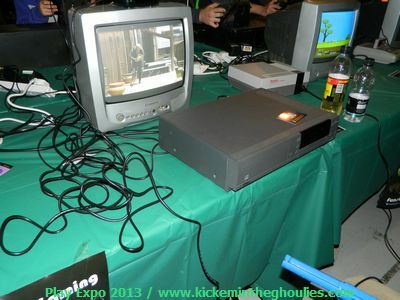 It was time to get retro and retro we did , with banks of consoles and computers set up on tables around the venue ,it really was a free for all games marathon. 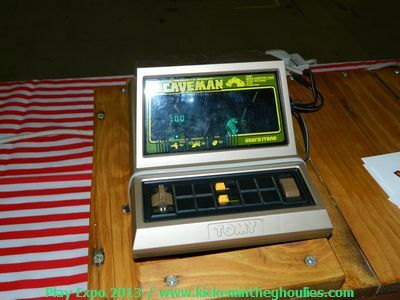 As you went from one machine to another revisiting games from your past and seeing machines and games you only ever dreamed of owning in their day. 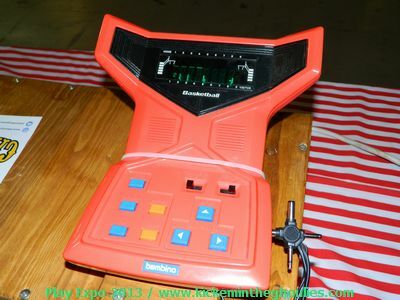 From Atari 2600 Woody’s , Intellivision consoles to the famous 8bit computers from Sinclair ,Amstrad and Commodore it really was bringing back memories. 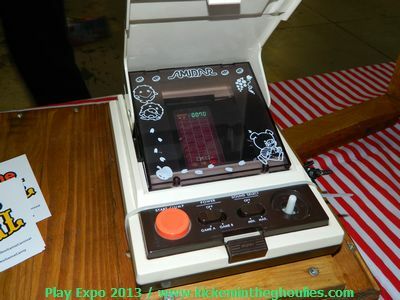 From this era the real buzz for me was seeing the ''SAM COUPE'' . 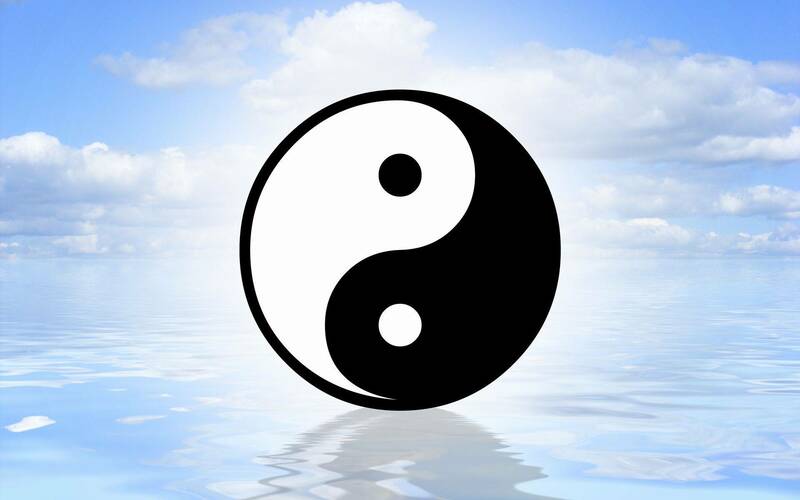 When the Spectrum as fading towards the end of it's life their was company called MGT ,it was run by Miles Gordon and he had this vision to bring to the market this new computer which was a like a super charged Spectrum. 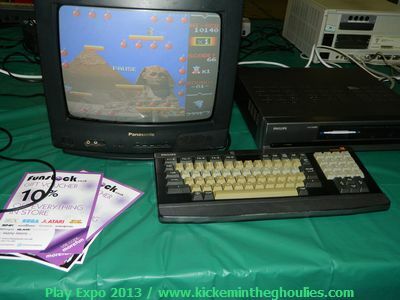 It would run all the 48k software and also be able to run much more powerful games dedicated to it. It would also be possible to improve the look of existing software . 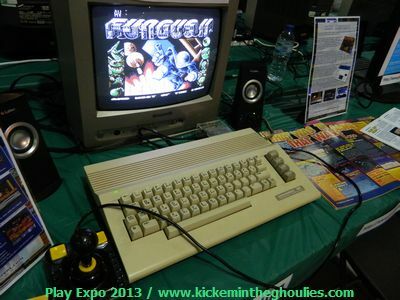 The project was one I watched in my Spectrum gaming days. I always thought I would buy one if they ever went mainstream . 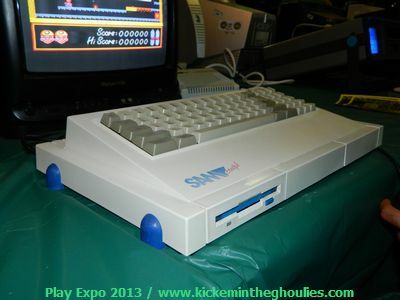 But due to financing and the event of the Atari ST and Commodore Amiga there was no way the Sam Coupe would have been able to sustain a market share against the competitively priced 16 bit systems from Atari and Commodore . 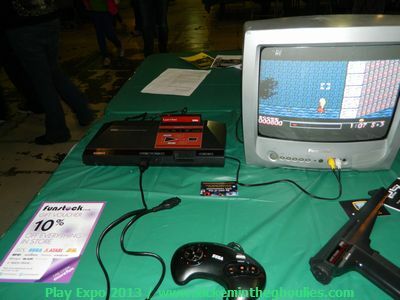 And Play Expo had two of these rarities on display to play from what I could see. Made my day for sure. But that was just the start, Many systems get released world wide ,but not all make it mainstream in each country, the next surprise for me was the PCENGINE by NEC, now yes the PC engine was readily available in the UK from specialist retailers, games came on small cards known as the HUCARDS. 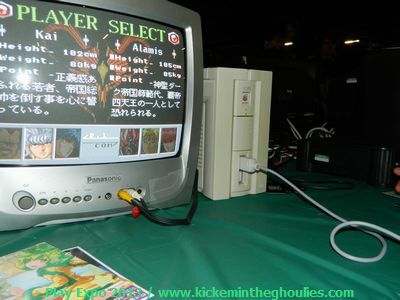 PC engine also came in many guises over the years from the standard engine to the TurboGrafix , most games where locked either from Japan or the USA where it' found a market share. 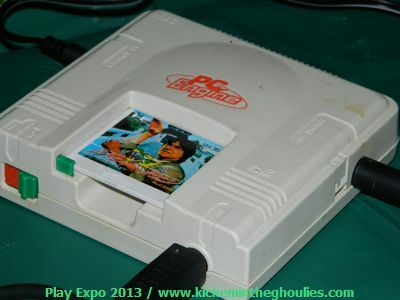 So seeing a original PC engine running the exclusive Jackie Chan game for the system was another treat for my good self. 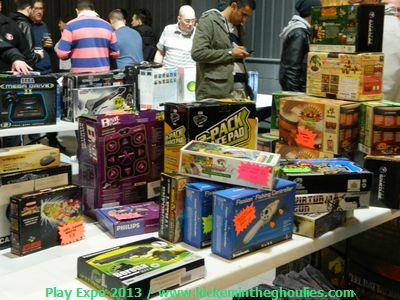 There where sellers of original consoles at the show to and I did venture to see what was on offer ,but a PC engine would have set me back £200 for the model I wanted ( Wallet safely at bay ) ,close call . The mid nineties was a terrific time for gaming , think Atari Jaguar,3DO,Sega Saturn and Sony Playstation ,N64 and the console all the rich boys owned the Neo Geo . So seeing a Neo Geo CDZ running King of Fighters 95 was another great buzz. .And I it seems the CDZ runs the games a bit smoother graphically then the original CD models . I new they where more reliable and had a faster CD drive to speed up the super slow loading times of the first CD Neo Geo consoles. 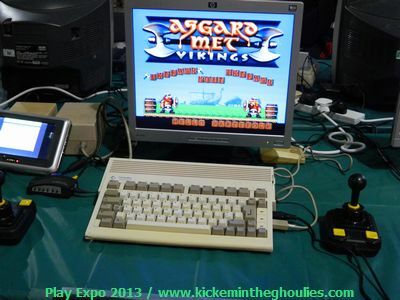 Of course the AES cartridge based models which came out first where the best to have as loading times where non existent on cartridge ,but we all know that Cartridge based software is expensive to produce due to the price of the cartridges , I used to pay around sixty pounds for a new N64 or Jaguar cartridge and those lucky enough to own a Neo Geo AES where paying Hundred and Fifty to three hundred pounds a games cartridge. But we all know now some Neo Geo cartridges sell for five hundred or more now. I did spot a Jaguar running Alien vs Predator (AVP) and you know it's such a good looking game for it's time , AVP for me is quite a special game for me after the 8bit and 16bit computers that I actually started with. My first proper console ( not including some cheap rip of of the 80's called the Prinze) was the Atari Jaguar and AVP was the game to own. Trouble with the Jaguar was it did not have the backing of third parties and lots of software was rushed. 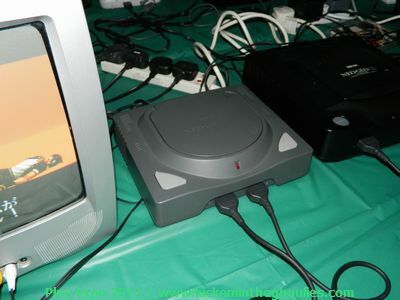 But it did have some good enjoyable games including Tempest , Iron Soldier,Rayman and good conversions of Wolfenstein 3D and DOOM..
Of course there where lots of original Playstation machines up and running games like Crash Bandicot ,Tomb Raider and more. It really was like being let loose in a gaming dream world, everywhere you turned another great game was up and ruining on another classic system from Virtua Cop on Saturn ,Crazy Taxi on Dreamcast and Panzer Dragoon Orta on XBOX. 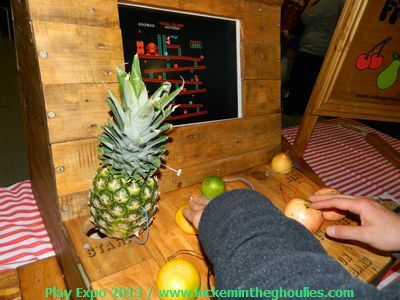 To play every game would have taken a lot longer then the time we had , my colleague spotted the arcade machines and had to get busy on Operation Wolf and Thunderbolt. 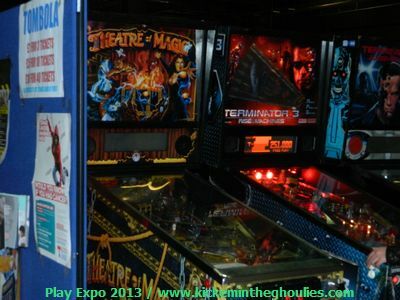 Whilst I spotted the Outrun and Outrun Europa Machines, all Free to Play might i add. 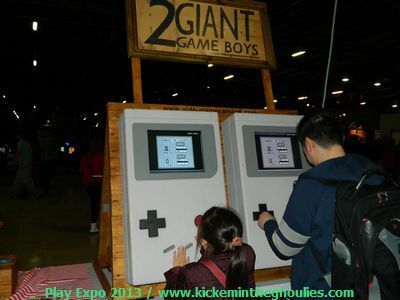 But gaming is also a handheld past time and we all know the Gameboy ,Gamegear DS and the newer hand held's. 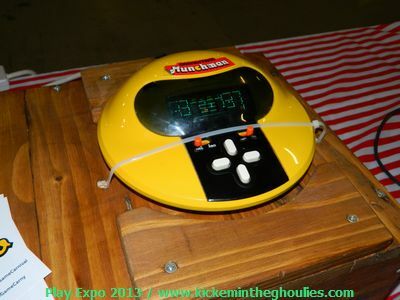 But before these there where small gaming devices which although not very portable they could be taken around in a bag,these battery operated machines often made by the likes of Grandstand ,MB games and other toy manufacturers offered the first portable gaming devices that could be used whilst travelling in a car or train or plane. Before your Gameboy's ,DS or Vita gamers played these. 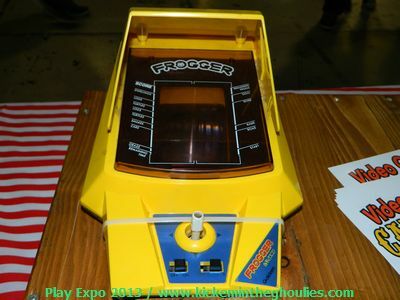 From Football,Frogger Spy Hunter and many more ,these devices are often quite sort after by collectors in good condition. And decent examples of these thirty year old machines where up for sale at one retailer there from about twenty five pounds and upwards. 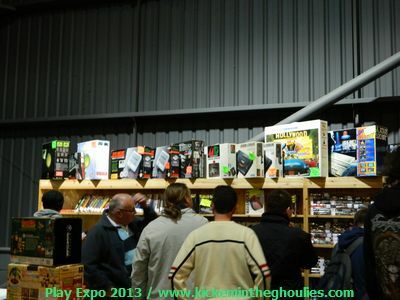 It was quite amazing to see so many classic gaming computers ,consoles and hand-held units up and running so many different titles. We went to look at the Streetfighter tournament running ,now I like a fighting game like the next man but the atmosphere was like being at a boxing match or UFC bout . As each contestant went up for there bout to see if they would advance to the next level the support from the crowd was pretty amazing as two participants would engage in a knock out match whilst the crowd looked on at the large screen TV projecting their ability at the game. 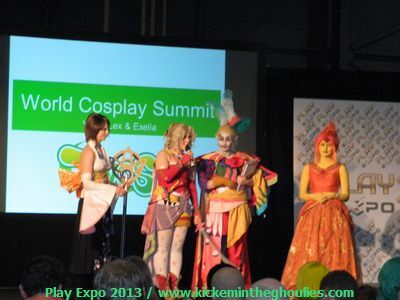 Time was not on our side ,it seemed the day had just flown by ,see what games playing does for you, the WCS cosplay competition was due to start but we found it running a bit late and then they ran into delays. We would have liked to get some photos from the competition but we had to make haste and get back to Manchester Station which was some forty minutes away by bus . With a bite to eat in Manchester we got our train back to London where I had a other engagement to get to. 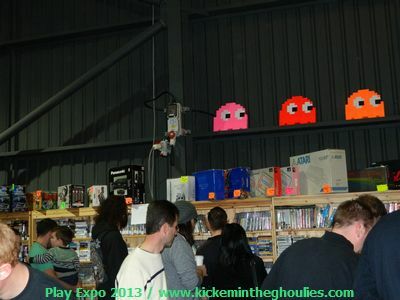 Play Expo is a truly tremendous Show and for old gamers like us it was a real nostalgic trip , it's definitely a show we will return to next year and maybe stay for both days next time funds permitting . 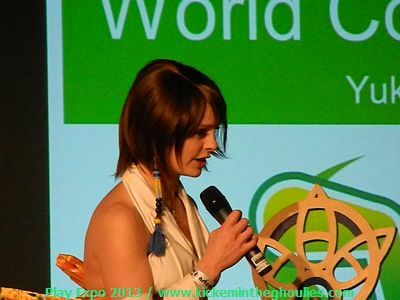 Our Thanks go to Andy Brown of Replay Events for the Press passes and we look forward to visiting the show next year . Now I have read on Replay Events site that their doing a show in the earlier part of the year in Blackpool ,as of yet we don't know if we can make that event then we will if not we will get to the next show later in the year. Having that we are covering quite a few events we thought you would like to know what we thought was hot and what was not about the event. 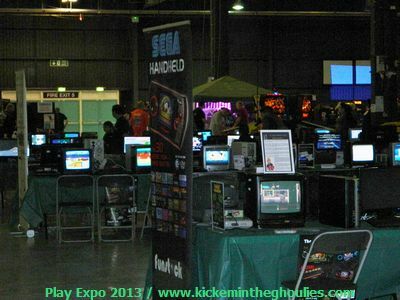 Pro's - A massive venue with more games machines then you could play in one day,or even two for that matter. Though crowds where large waiting time to get on systems where next to nothing ,many times machines where available to jump right in and even though we traveled from London the place was easy to get to once you new where you where going. Great Atmosphere and what a brilliant idea , wish i had it thought of it a few years ago. 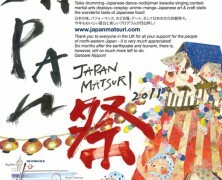 I hope they get more support from the big boys next year. 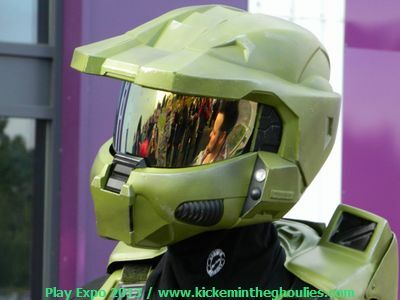 Maybe we should all bug Sony ,Sega and other large companies to support Play Expo next year , i can imagine a large Sonic area featuring all the games of the series sponsored by Sega. 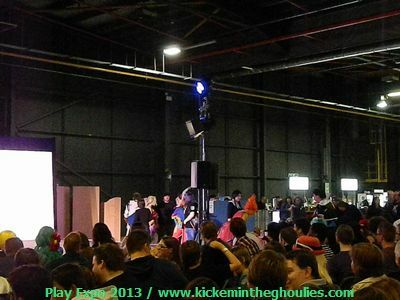 Con's - Amenities are not quite up to other venues ,no cloakrooms to store coats and bags , toilets got very busy ( not enough) ,and one thing i find about a lot of these shows is lighting ,what's with everything being in the dark. Of course my gripes are more about the venue more then the show it self ,but i could imagine a event like this playing at Olympia or Excel in London with all it's versatility, yes i suppose there was the big shopping center just across the street where you could partake in food and drink for lunch .At one point the queue for the hotdog stand was the longest queue in the building. Wrap - up - but hey i find these type shows always improve year by year and as i have said my gripes are more venue related more then anything. 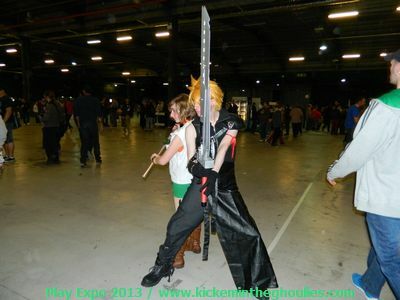 Hyper Japan 2013 - A Japanese POP culture show with a big game element. 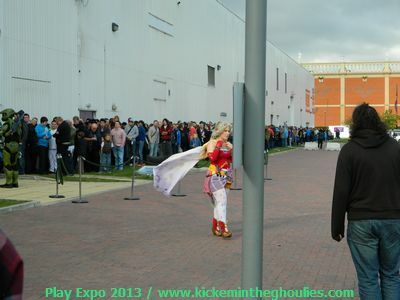 Eurogamer Expo 2013 - The UK's premier gaming event for all the latest games .